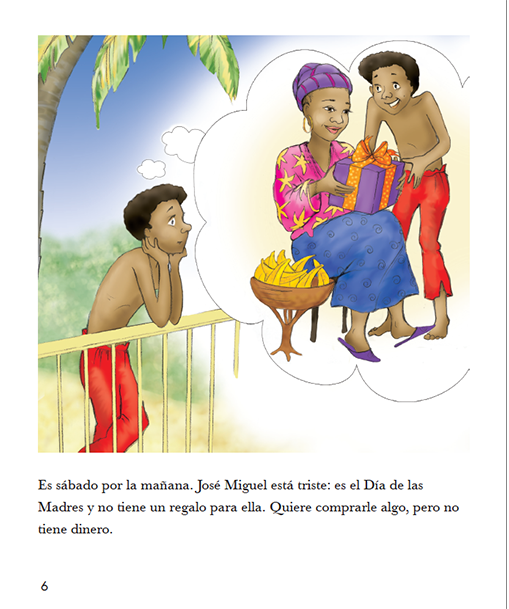 In this book, you will find assessment activities for, as and of learning. CAN DO statements for both teacher and students provide the basis upon which to create learning strategies and success criteria and to develop student metacognition and reflection. The Student Portfolio is also found in this book, in addition to a series of additional Partner/Group Activities that will allow for differentiation. Overview of the Principles, strategies and techniques for successful implementation of the methodology in relation to how it develops authentic proficiency through the levels as stated in the ACTFL documents and the CEFR. 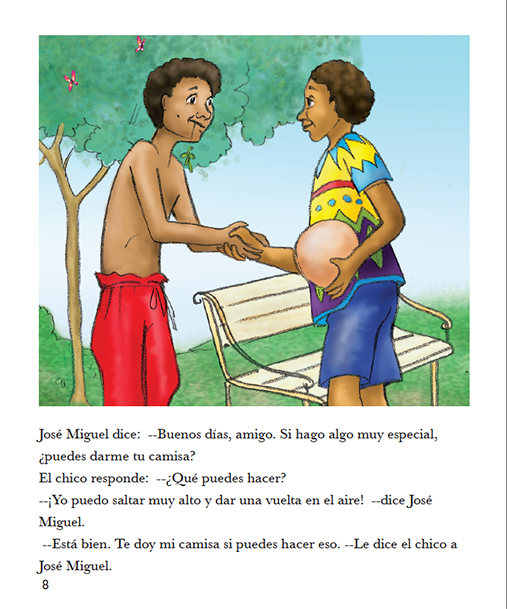 For younger classes, shared reading with the Big Book is a very important AIM activity. For older classes you may also use the e-reader of this same book, projected from the Portal. In this traditional story the three pigs set out to build their own houses. The first pig builds a house of straw, the second builds a house of wood, and the third builds a house of bricks. The wolf arrives at each of the first two houses, and because they are built of weaker materials, blows them down. It is a very popular play with teachers and students. Its familiarity and subsequent predictability prove to be an excellent entry point for students learning a new language, or those beginning this methodology for the first time. 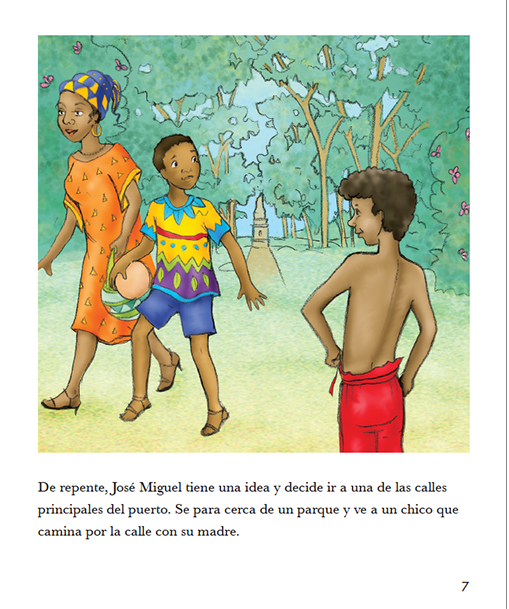 LOS TRES CERDOS PEQUEÑOS has pleasant repetition and easy to learn. Students will be able to chime in to the words of the pigs or the wolf, even upon first presentation, if encouraged to do so. 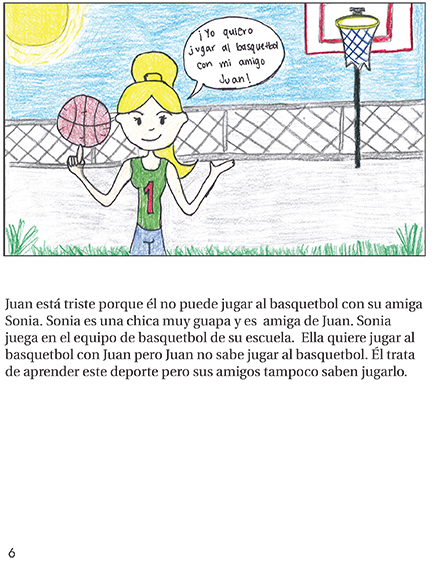 The vocabulary is predictable, as students come to the storyline in French with a context and background from the English version — a definite plus when trying to put students at ease, and this will help them to learn new vocabulary quickly. Including whole-class activities in ten-minute segments, classroom systems, a master calendar, evaluation blackline masters, vocabulary lists and game cards. 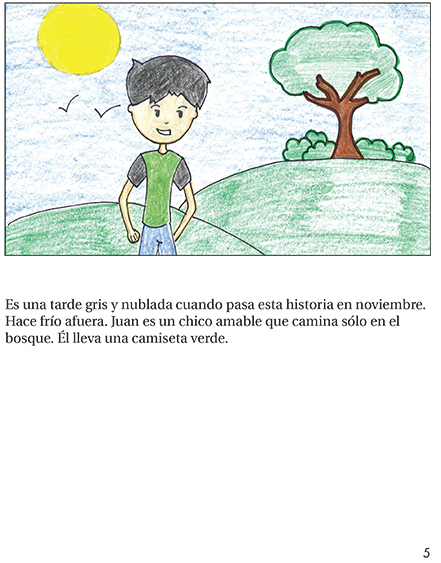 Helps you to assess your students in the four language skills area. Test your students proficiency in this first step kit. The Portal contains aspects of the content found in the Guides (videos, songs, e-readers, listening activities) as well as digital Student Books for 1:1 classrooms. Student digital workbooks available as an additional purchase. 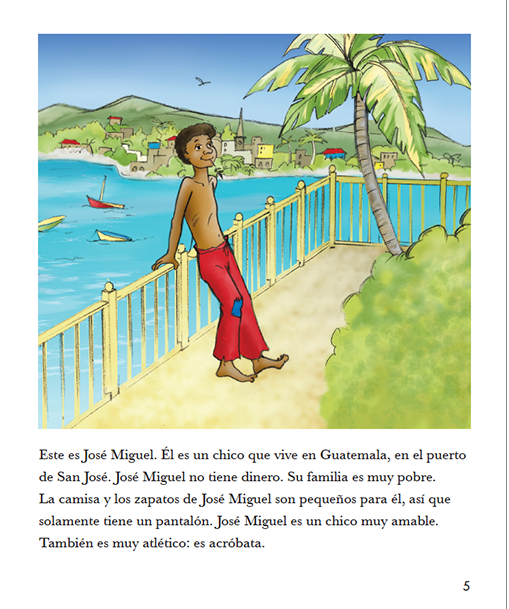 José Miguel is a 12-year-old boy who lives in Guatemala in the Port of San José . This talented young fellow uses his acrobatic skills to earn money with which he buys his mother a birthday present. 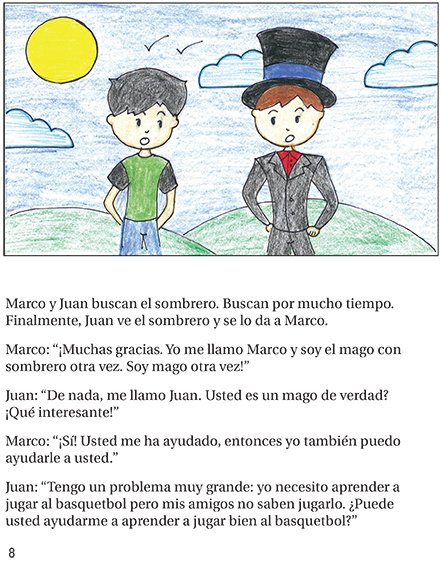 In this story, Marco uses His Magic to help a new friend, Juan, and finds himself overwhelmed by requests from Juan's friends, all of whom want to use Marco his magic to improve their skills. 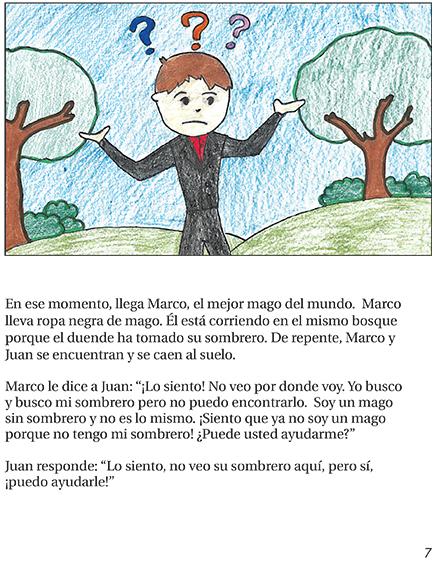 Marco finds himself in a dilemma. How will he put an end to the demands without losing his new friends? Two-day intensive Summer Institutes in Ontario, Canada.